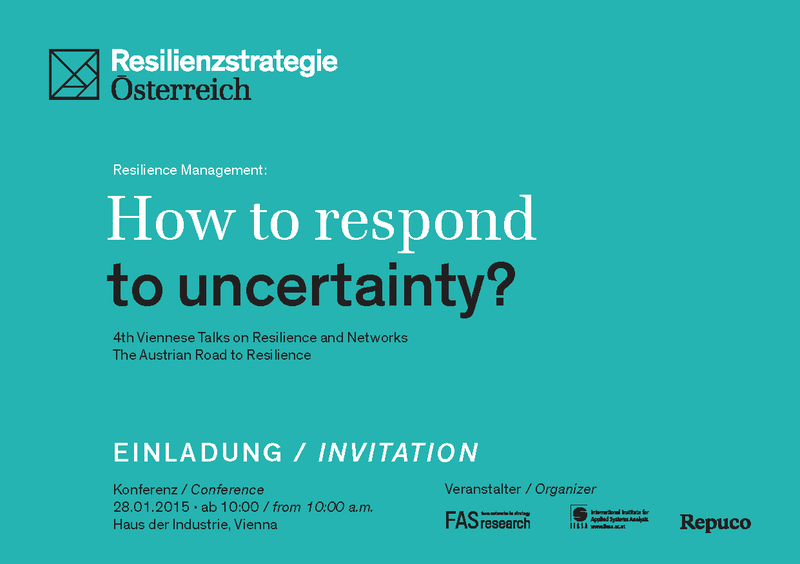 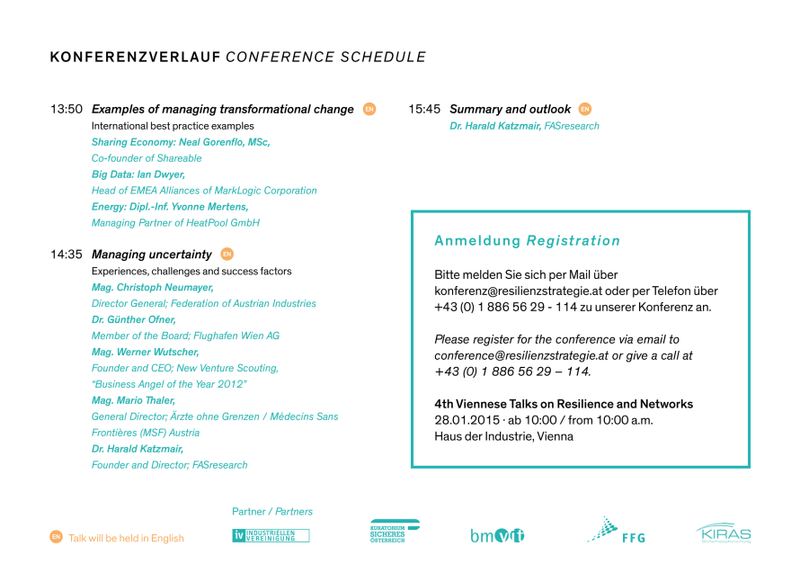 The 4th time FAS organizes a high level conference on resilience and networks on January 28th 2015 in Vienna. You are cordially invited to participate! 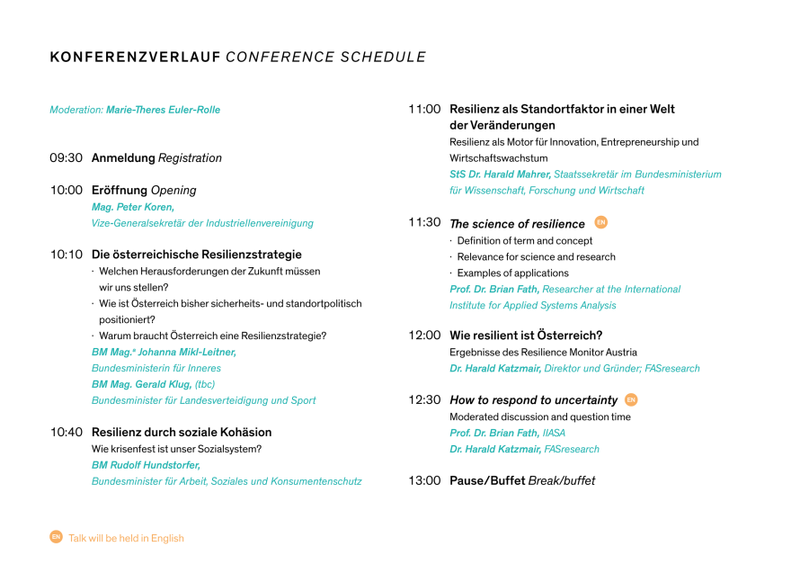 Participation is free, but subject to registration!